Looking for furniture to tie together a room? Our designers will create a matching furniture set to suit your space. Whether it’s merely the first inkling of an idea or in its final flourish as a full interior design scheme, you have a vision. You can see in your mind’s eye the way you want your room to look and feel, but what’s missing is the right furniture to tie the space together. That’s where our designers can help. 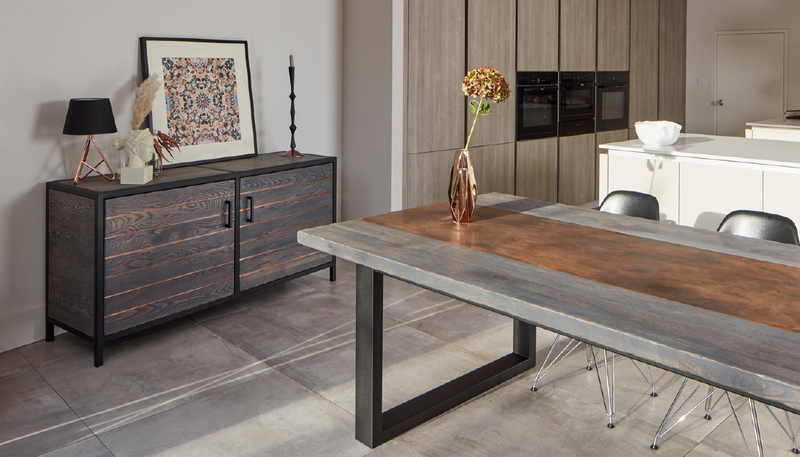 Simply get in touch to discuss your vision and requirements, and our team of designers and craftspeople can create the perfect set of furniture to suit your space. We can help at any stage of the décor process, whether you’re looking for an interior design concept for each room or the whole building, or simply looking for experts to create the furniture. Either way, at Mac+Wood, we are to perfection and will do everything in our power to bring your dream to life. If you are looking for help planning an interior design concept for each room, making the choices that will delicately balance out every room, we know that the huge array of options in front of you can be overwhelming. With the depth of our design expertise behind you, you can trust us to carefully guide your creativity, core concepts and values into the exact final picture of what you want. We can then contribute the furniture – strong, stunning and crafted just for you. Our furniture sets can include chairs, benches, desks, dining tables, coffee tables, end tables, console tables, shelves, bookcases, wine racks, miscellaneous storage and more. Every furniture set from Mac+Wood has, at its heart, the values of beauty and purpose, precision and passion, down the finest details. Whether you’re looking for a set of rustic, wooden living room furniture for that country touch or a metal-based scheme to add a certain exotic majesty to your space, we can help. All our signature pieces are created by genuine craftspeople using traditional, time-honoured techniques that are enhanced by a selection of high quality materials. Whatever you’re looking for, simply get in touch to speak to one of our designers. They will discuss your requirements, get to know your vision and your goals, and take you through what we can do for you.